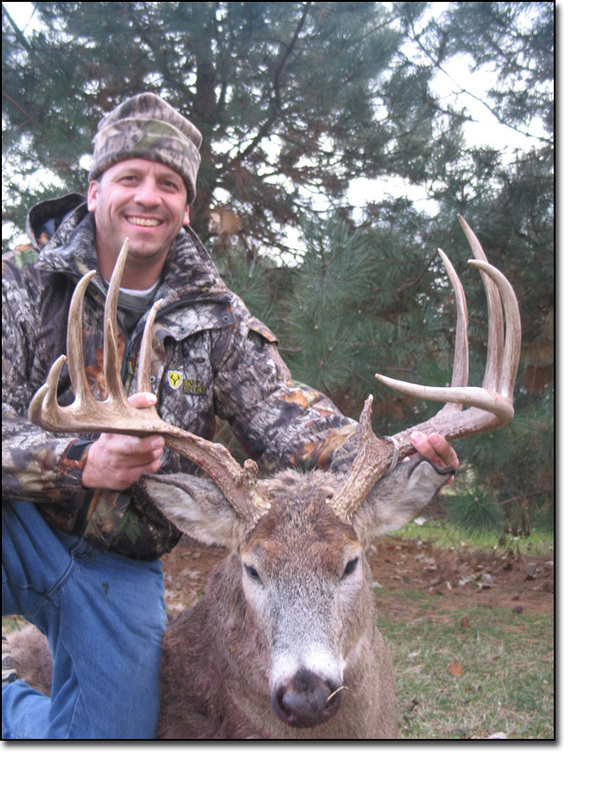 Hunting trophy whitetail deer on well managed private properties is some of the most affordable and plannable (due to guaranteed tags) whitetail hunts available in the world today. What's more, the Nebraska deer hunting season is timed to coincide with the peak of the rut, so you get a very rare opportunity to rifle hunt when the bucks are chasing does, fighting, etc and our semi open country gives you the opportunity to see all of this which makes for not only a successful hunt, but also a very exciting one. Our part of Nebraska is unlike the rest of the state, with several major rivers converging into the area creating diverse riparian and agricultural habitats which set the stage for great bucks and memorable hunting. Most of our hunting will occur out of box blinds, comfortable ladder stands, or pop up blinds. This is the best way to fool a mature animal in our area. 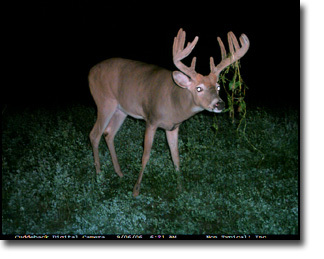 Our rifle season is short, only 9 days, in mid-November. We conduct two, four day rifle hunts during that time. They are highly successful being a peak rut rifle hunt. Since it is a short season, it is also very limited in availability, so if you want in on this one, you need to give us a call. Book Now!